Description: Plant found only in the inlet channel. Habitat: Tidal channel of bayou in ca. 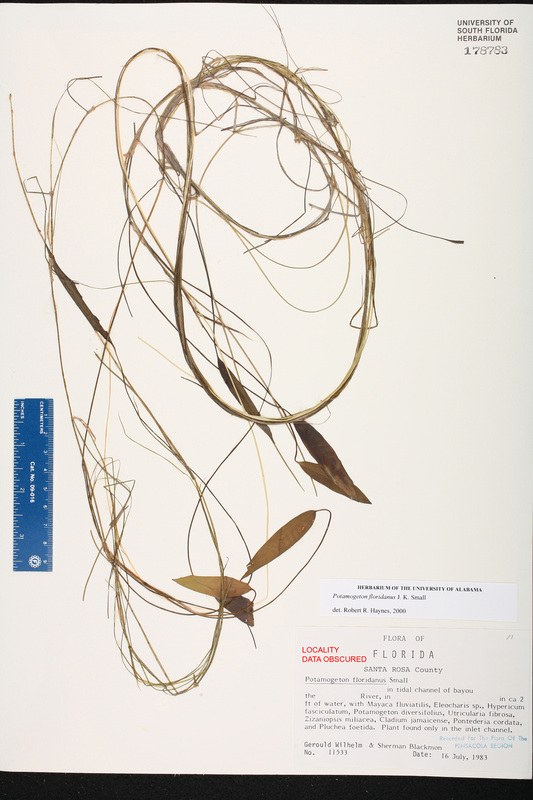 2 ft. of water; with Mayaca fluviatilis, Eleocharis sp., Hypericum fasciculatum, Potamogeton diversifolius, Utricularis fibrosa [U. gibba], Zizaniopsis miliacea, Cladium jamaicense, Pontederia cordata, and Pluchea foetida.